We had to make a trip to Saga City (Saga Prefecture) to visit the immigration office, so I decided to find a nice buffet restaurant to eat at for lunch. My mister loves to eat a lot and it had been months since we went to an all you can eat place. 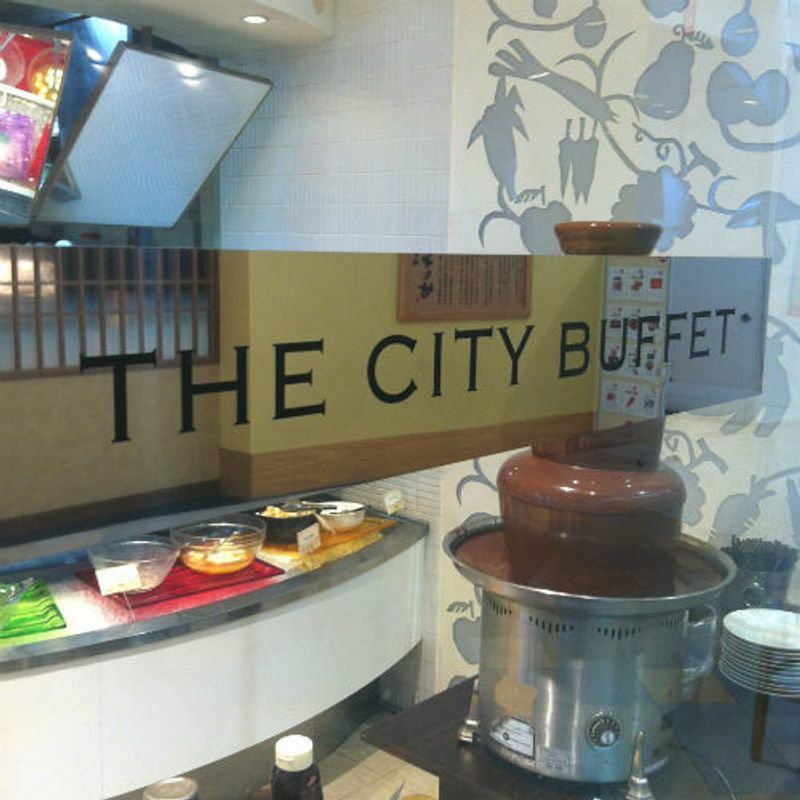 I found The City Buffet, a chain with great lunch prices, so we decided to go there after taking care of our business. 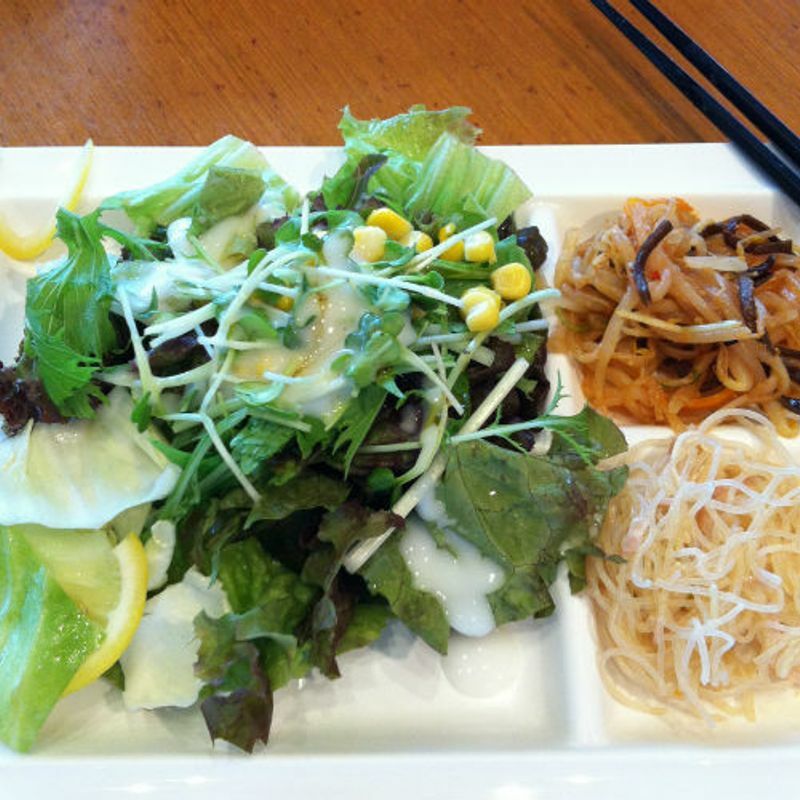 The pictures online show steak, seafood, fresh vegetables, parfait - all amazing looking. I knew this was likely just for the promotional photos, and possibly only available for their dinner menu. I was right. The 1000 yen lunch price is for 90 minutes, although when we went, 15:00 まで was written on our bill, implying we were given until the lunch closing time, which was over two hours from when we arrived. 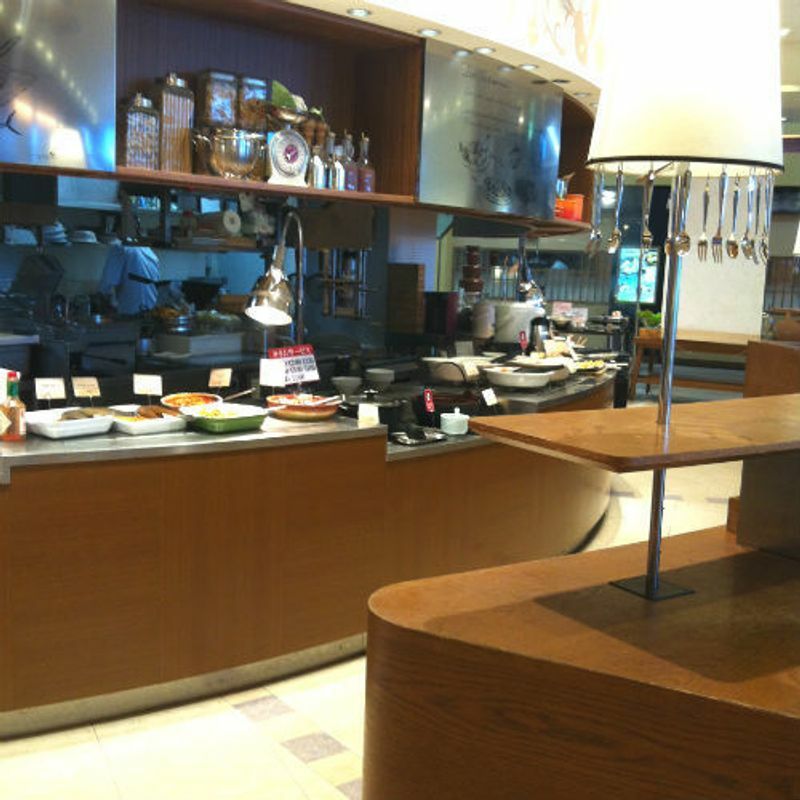 The actual food was not bad for the price, and for an additional 199 yen, you can add drink bar, which includes 黒酢 (drinking vinegars). That was a first for me to see at a drink bar, but we opted to drink water and focus on food. 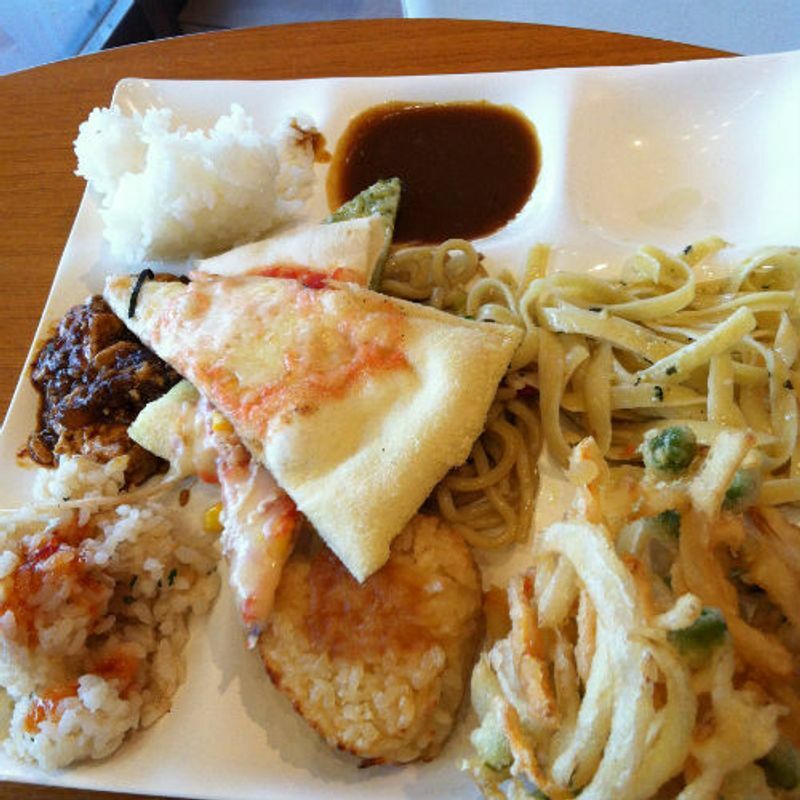 Tiny slices of pizza (including pesto sauce), pasta, curry rice, yaki onigiri, soups, Chinese style yakisoba, mabodufu, sara udon, and other dishes, noodles (hot and cold), tempura, tofu, salad, and dessert were provided. The meat was scarce – just some fried and sliced chicken. 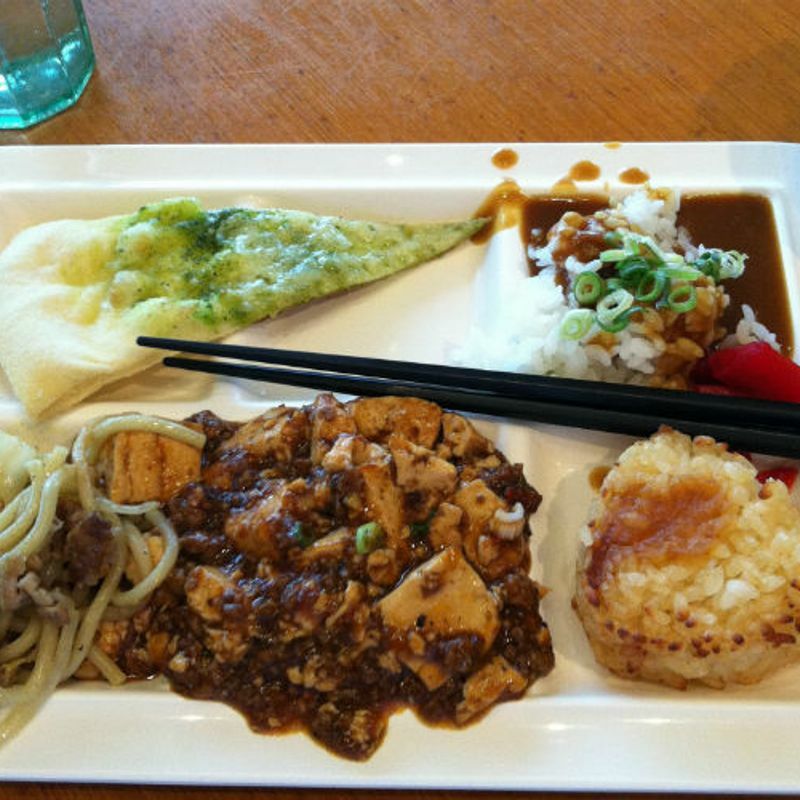 The toppings and sauces were all provided, and the potafu soup was impressive for probably instant. 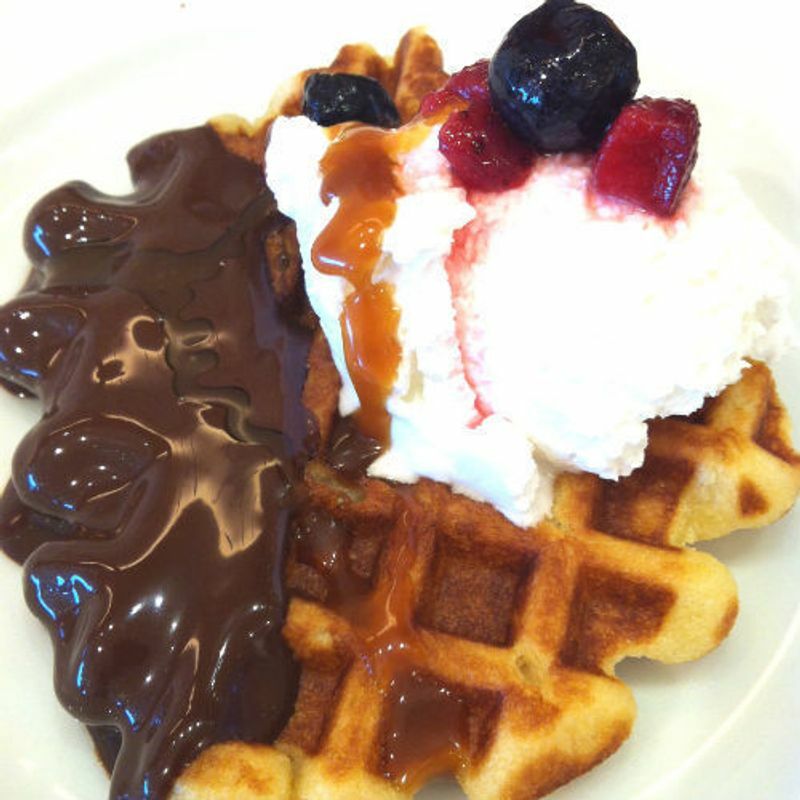 There was unfortunately no ice cream, but there was a waffle maker and a chocolate fountain. Fancy, but I didn’t try them out. 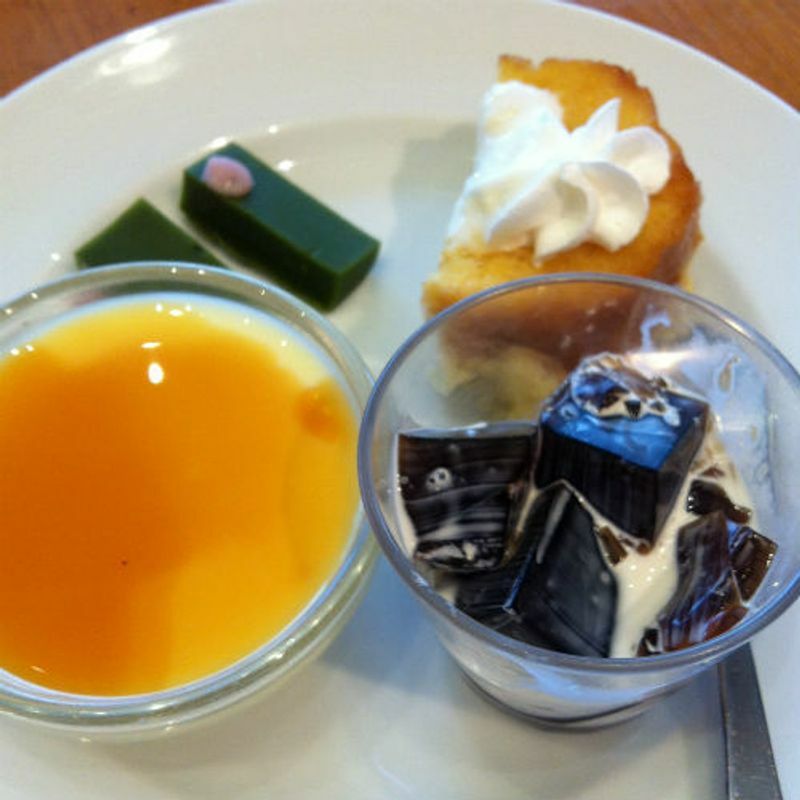 I was more interested in coffee jelly and mizu yokan and pudding. There was also a really nice lemony French toast and annindofu. 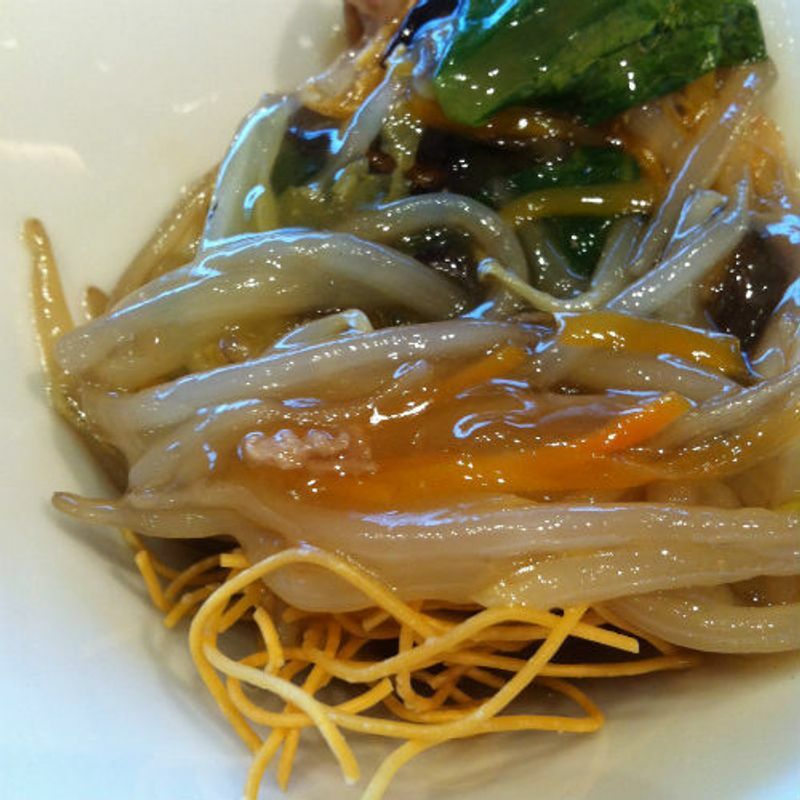 More than enough options to make you way too full, but of the oily and lower quality rather than gourmet variety restaurants. We finished eating all we could in about an hour. We must be out of practice.